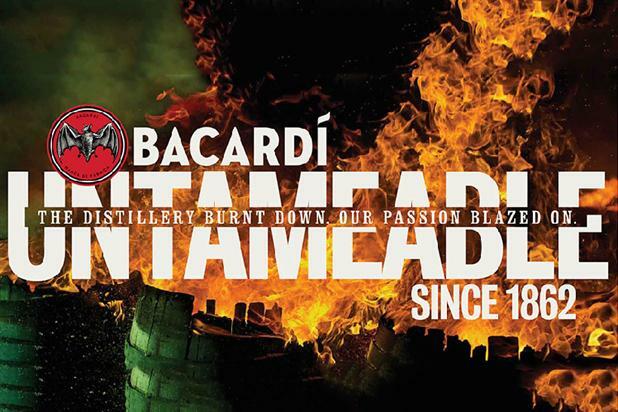 Bacardi is moving its business to BBDO and OMD. BBDO will be responsible for the strategy and creative work on all Bacardi’s major brands, while OMD will lead the media planning and buying across social and digital, as well as traditional, platforms. The business is worth around $175 million a year and comprises the Bacardi, Martini, Bombay Sapphire, Dewars, Grey Goose, William Lawson’s, Cazadores and St Germain brands. Andrew Robertson, BBDO’s president and chief executive, told Campaign that the deal was done quickly after a series of discussions between Omnicom network leaders and Bacardi’s executives, and without a formal pitch. "Bacardi has a wonderful portfolio of brands and a fast-acting leadership team with high ambitions," Robertson said. "We're really excited to have been picked as their partners." Dmitry Ivanov, Bacardi’s chief marketing officer, told Campaign that the business would be run by OMD and BBDO at a global level from two strategic hubs – one in London and one in New York. BETC London was the incumbent on the global Bacardi creative account. Bacardi worked with ZenithOptimedia and Mindshare on its media. Michael Dolan, the chief executive at Bacardi, said: "Our goal is to be able to work better and to create a closer alignment between our global and local operations. This new global partnership will be a great catalyst for achieving top-line growth." Mainardo de Nardis, OMD’s global chief executive told Campaign: "The reason we think [this deal] is so important is because it was not a pitch or a review; it was a series of conversations that Andrew and I had with the executives at Bacardi, during which we understood their issues and opportunities, and they understood that we probably had the solutions. "I can’t say that this happens very often." De Nardis also said that OMD had worked out a group-wide solution with existing clients that meant it would not lose any work through conflicts. In January, Bacardi promoted Ivanov to chief marketing officer to replace Andy Gibson. Ivanov described the BBDO/OMD deal as "an important milestone" and a "big move" for Bacardi. He added that Bacardi had been looking for a way to bring consistency to its brands' marketing across the world for some time, and mentioned that Bacardi had held early stage discussions with other marketing networks before deciding BBDO and OMD were right to take his brands "to the next level." As a result of the deal, BBDO will stop working with Belvedere Vodka and Famous Grouse, due to conflict issues.